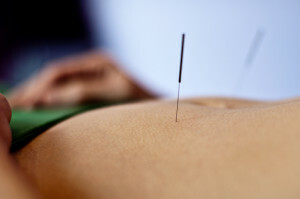 Nourishing Women offers Integrative Acupuncture in house, to patients at our center or in our affiliate Fertility offices. 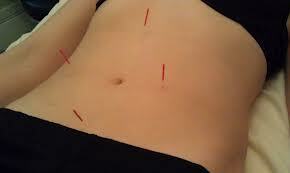 Integrative Acupuncture is usually done a weekly basis to manifest transformational healing in the body. We use a system of Acupuncture that is Non-Somatic ExtraVessel (NSEV) Acupuncture, developed by Dan Nevel, which addresses not only the physical body… but also the psycho-spiritual aspects of what may be contributing to the presenting dysfunction. NSEV can be used for any physical, emotional, mental or spiritual imbalance and can even be applied with magnets and cords at home. For more information on FERTILITY treatments click here. • Extended review of medical history; physically, emotionally, mentally and spiritually. • Initial Chinese medicine diagnosis. • Review of signs and symptoms; physically, emotionally, mentally and spiritually, establishing pattern associations of subtle bodies and correlations with present disharmonic experience. • Assessment of organ systems, chakra systems, and energetic relationships in the body. • Establishing patterns and analysis of blockages that may be contributing. • Explanation of Quantum, Energetic & Chinese medicine within the context of disorder being addressed. • Treatment protocol reevaluated and discussed. • Aromatherapy application on channels or parts of the body; for healing. • Pretreatment as determined may include; moxa, cupping, manipulations or massage, acupressure. • Opening invocation and guided meditation directing awareness within body as needed. • Treatment with NSEV Acupuncture, Aromatherapy formulas, sound vibrational healing, personalized meditation and guided visualization as needed. • Healing practices, as needed, to address physical body; mind, emotions within the body and allow purification, healing, releasing and harmonizing of cells, nervous system, chakra systems, meridians/ channels, endocrine system. • Herbal, supplemental, nutritional treatment recommendations. • Home recommendation treatment of individual practice protocol for particular disorder or physical or emotional challenge. This treatment is done as a self care treatment at home or wherever you are. It is an important healing tool that you can do at home… and part of your cultivation healing process. Through our personalized sessions you will receive exact instructions on how and why to use these tools. More information.